St. 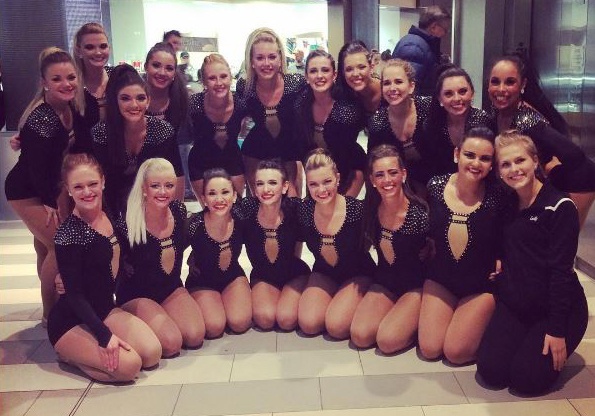 Cloud State University Dance Team brought their season to an exciting conclusion at UDA Nationals this year, finishing 4th in Pom, and 7th in Jazz! 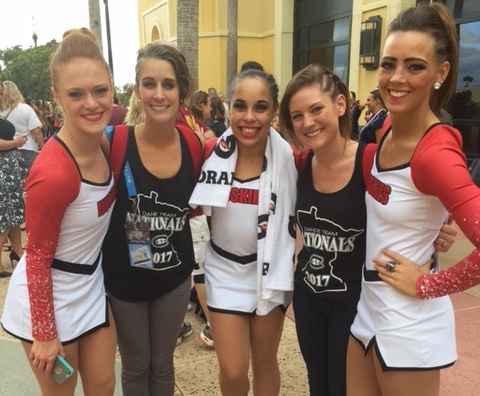 Their nationals routines were inspired by the talent of their dancers. 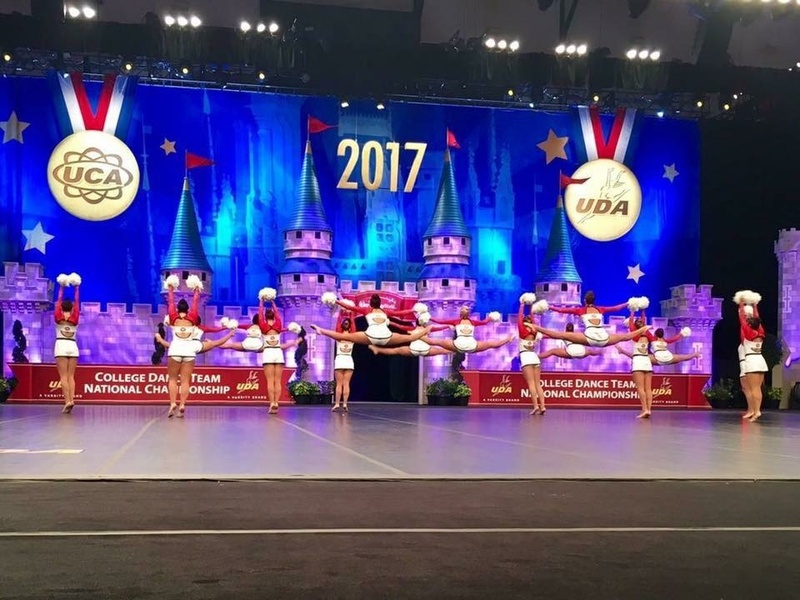 "In both routines, we wanted to highlight their strengths and really push them to reveal their fullest potential," explained Coaches Morgan and Megen. "This was incorporated into our choreography by adding difficult skills and turn sets." To match the spirit of the routines, the dance team created two new gorgeous costumes! 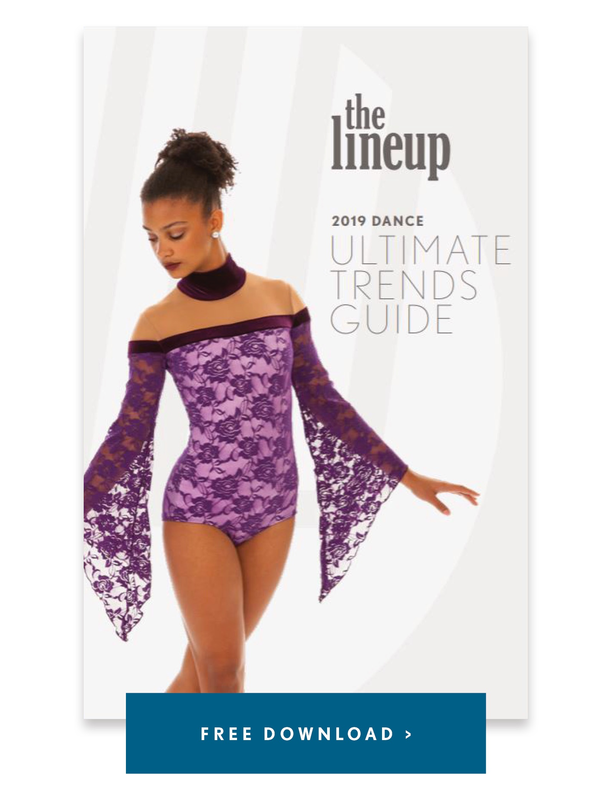 Their jazz costume was a simple and elegant biketard with plunging neckline, perfectly accented with rhinestones at the shoulder. The team sported the perfect accessory - and a whip-worthy high pony, befitting the routine's music "Hair" by Little Mix . The overall look conveyed a lot of strength and sass!! For their pom routine, the team played up a traditional pom look with patterned sublimated sleeves and a wide, open back. Inspired by the Venice style, the team added their own finishing touches with trim, lettering on the front, and the team's logo on the back! The result was a fresh look we haven't seen a lot of in the pom world! Check out more Q&A with Coaches Morgan and Megen below!! SCSU's pom uniform was modified from the Venice style on the left. What is your team's biggest challenge/opportunity this season? The team's biggest challenge this year was defending their 2016 National Championship. A huge opportunity presented to us was to do a video/photo shoot with the Alliance Dance Network. This is a new company getting started in the business and we saw it as an opportunity to work on our performance factor prior to Nationals. With a routine like Hair ,and all pom routines, if you can sell it you have a better ability of getting your audience to enjoy your routine. The sense of accomplishment we had walking off the Nationals floor, both with Jazz and Pom.